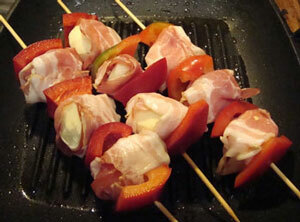 Our Scamorza cheese goes very well with capsicum and bacon, grilled on skewers. 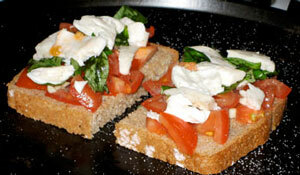 Bread, extra virgin olive oil, mozarella, tomato, oregano. Bake in the over until the bread is golden and the mozarella begins to melt.